As of 2015, 5.3 million Americans are estimated to have Alzheimer’s disease. Among these, 5.1 million are over 65 with another 200,000 individuals under 65 having early onset Alzheimer’s. These numbers are expected to triple in the coming decade. Alzheimer’s is a progressive disease of the brain that slowly robs a person of the very essence of who they are. All memories and personality are gradually erased, leaving behind just a shell of the vital person they used to be. Early symptoms of Alzheimer’s include a gradual worsening ability to remember new information. Progression of the disease results in difficulty in communicating, memory loss, disorientation, changes in behavior, confusion, inability to identify loved ones, and more. 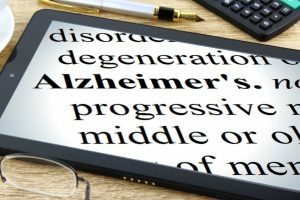 The key biomarkers that are identifiable and result in a diagnosis of Alzheimer’s are an ever increasing accumulation of plaques in the brain which causes damage and eventual destruction of neurons in the brain. Preclinical Alzheimer’s Disease — In this stage, measurable changes in the brain, cerebrospinal fluid and/or blood (biomarkers) indicate the earliest signs of the disease, but individuals have not yet developed symptoms such as memory loss that are readily noticeable. Experts now believe that Alzheimer’s related brain changes may start 20 years or more before symptoms occur. Although the 2011 criteria and guidelines identify preclinical stage as the first stage of Alzheimer’s, diagnostic criteria has not yet been established for a clinical diagnosis. Thus, estimates of those affected with Alzheimer’s would be considerably larger if these pre-symptomatic cases were included. Experts agree that several factors are at work in an individual’s likelihood of getting late-onset Alzheimer’s disease. Genetic factors, family history, older age, history of head trauma, midlife obesity, smoking, prediabetes and diabetes are all implicated in a higher risk of dementia. There is further evidence pointing to hypertension and high cholesterol increasing risk as well. While we have no control over age or genetic risk factors, many risk factors for cardiovascular disease are directly related to lifestyle behaviors and can be modified to lessen the likelihood of developing these diseases. This means the same lifestyle interventions that protect the heart may protect the brain as well, thereby reducing the risk of developing Alzheimer’s and other dementias. Can what you eat influence your risk factors? Prospective studies have indicated an association between intake of saturated or trans fats and incidence of Alzheimer’s disease. Persons in the top 20% of saturated fat intake had twice the danger of developing Alzheimer’s disease during a four-year study period, compared to participants in the bottom 20%. A number of well-controlled studies of cognitive decline have found that higher saturated fat intake raises the rate of failure in cognitive abilities with age, therefore, a diet rich in polyunsaturated and monounsaturated fat and low intake of saturated fat and trans-fat is showing promise as a dietary strategy to embrace. Oxidative and inflammatory damage are present in AD. This oxidative stress causes neuron cell disruption and death. Eating foods rich in antioxidants such as fruits and vegetables can help counteract this oxidative damage. Of particular interest in antioxidant protection lies with Vitamin E. In animal studies rodents fed a diet high in Vitamin E showed higher learning and memory retention and less neuronal cell death and evidence of oxidative damage than the control group. 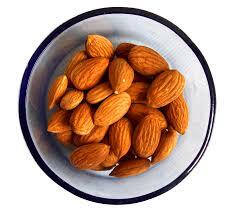 Foods rich in Vitamin E are nuts and seeds, in particular, almonds and sunflower seeds. 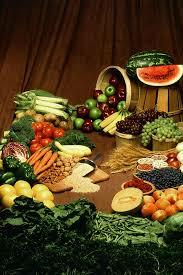 Other sources of Vitamin E are whole grains, egg yolks, collard greens, avocado, apples and melon. Physical activity counteracts some if the natural reduction in volume of grey matter and brain connections that occur with aging. It increases blood flow to the brain which brings nutrients and increases chemicals that protect the brain. And learning new skills is shown to increase neural pathways. Exercise is also a proven way to improve heart health and, subsequently, brain health. Aerobic activity has numerous health benefits including better weight control, and insulin sensitivity. It is shown to play a protective role by lessening the rate of cognitive decline in those with mild cognitive impairment. Aerobic activity also helps regulate cortisol levels and this has greater reaching implications in the fight against Alzheimer’s. Elevated cortisol levels are detrimental to cognitive function, interestingly, more so in women than in men, and individuals with Alzheimer’s disease show a faster rate of decline when cortisol levels are elevated. Resistance or weight training can also help to prevent Alzheimer’s disease. 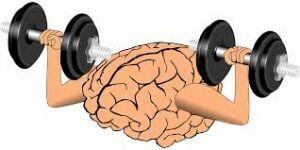 According to the SMART2 study, in which participants did resistance training 2 days a week for 6 months, building muscle strength directly resulted in improved cognitive function, and the stronger people became the greater benefit to the brain. And the benefits still remained 12 months after the study ended. Although there is more work to be done to determine prescriptive protocols there is substantial evidence showing that a combination of regular exercise including aerobic and resistance training, a healthy diet, meaningful social connections and brain training reduces the risk of developing Alzheimer’s disease. These lifestyle behaviors can have a tremendous positive act on your body and your mind.